"People are unwittingly ingesting it," she said of fentanyl . "It's laced into heroin, marijuana, meth, cocaine, and it's also being distributed by itself." When questioned about Conway's fentanyl and marijuana claim, the White House press office pointed to a speech  last year by Volkow. "Fentanyl is being used to lace a wide variety of drugs, including marijuana," she claimed. When questioned about Volkow's claim, the NIDA press office cited "anecdotal reports" from law enforcement. But those "reports" were actually a single report  from police in Vancouver, B.C., in 2015 that "fentanyl-laced marijuana" was killing area drug users. And despite the panic over the claim, Vancouver cops admitted a year later that they hadn't actually seen "fentanyl-laced marijuana" . Again in 2017, some Canadian officials claimed  there had been fentanyl-laced marijuana deaths. The only problem with that claim is that Canadian coroners reported no such cases. 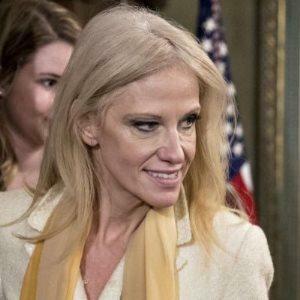 The DEA, for its part, has not reported encountering "fentanyl-laced marijuana," but none of this has stopped Conway from making her bogus claim. She made the same claim  to right activists at the Conservative Political Action Conference (CPAC) in March. That Conway continues to spout such nonsense is disturbing for a number of reasons, drug policy experts told Buzzfeed News  last week.